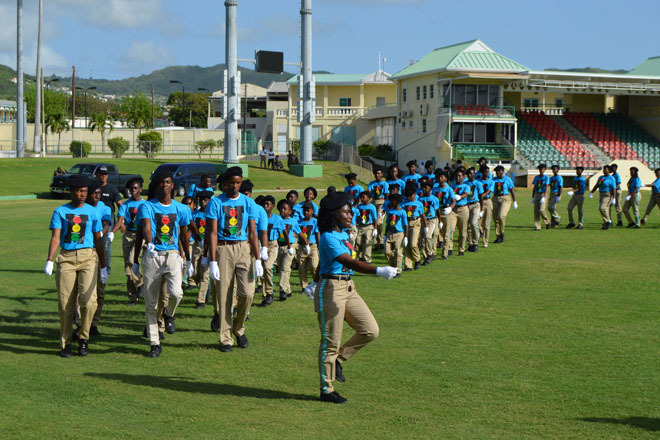 From SKNIS – Youth of St. Kitts and Nevis will gather from 8 a.m.-1 p.m. May 12 for a march and rally that will take place at the end of the upcoming CARICOM and USAID- sponsored eighth meeting of the Technical Working Group (TWG), which will be held May 10-12 in St. Kitts. 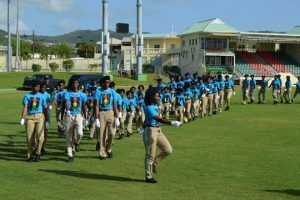 The march and rally will involve all four Explorers clubs, a biker’s club from Sandy Point under the USAID CFYR programme, as well as delegates to the TWG, between 8-9 a.m. May 12. The marchers will assemble at Lockhart Street at 9 a.m., proceed down Central Street via Five Ways, turn right on Church Street, left on Liverpool Row, up Fort Street, and right on Central Street into Independence Square, where there will be a rally. Music for the march will be provided by the Police Drum Corps and the Defense Force Drummers. It is anticipated that the rally will be from 10 a.m.-noon. Prime Minister the Honourable Dr. Timothy Harris and Deputy Prime Minister Hon. Shawn Richards are expected to deliver remarks.